Homegrown tomatoes, homegrown tomatoes What would life be without homegrown tomatoes? Only two things that money can’t buy And that’s true love and homegrown tomatoes! We have a big yard at our house, but most of our gardens are given over to flowers. We’ve got a cherry tree in front and a raspberry patch on the north. There are a number of volunteer herbs in the back like chives and oregano that started themselves from some pots years ago. 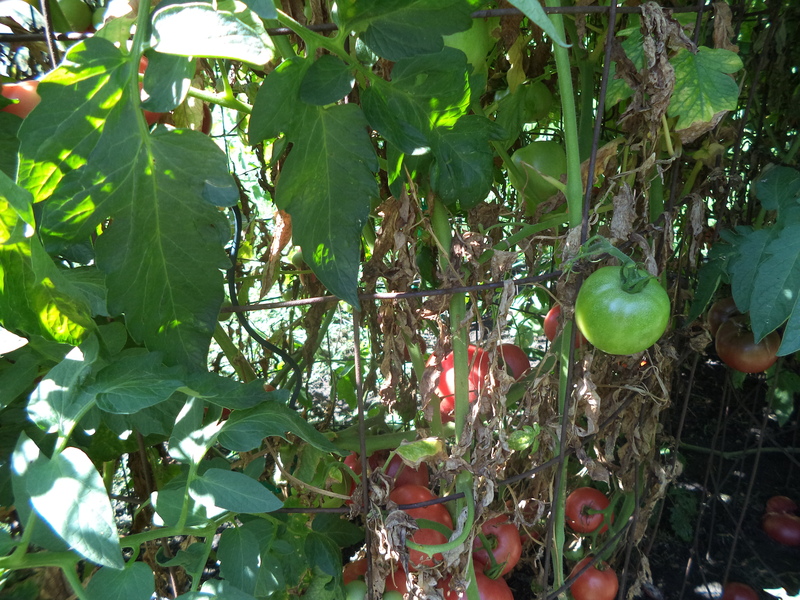 But the best part of our garden is the eight-by-eight foot square box where the tomatoes grow. Every year we stop at the Douglas County Extension office for the Omaha Men’s Garden Club plant sale and pick up four plants, all heirloom. I say four, because Steve usually wants more than that. In a household of three where only two actually eat tomatoes, four is plenty! The only exception this year was somehow we missed the sale so we bought our plants from a local nursery that has supplied many of the plants in our yard. Four. We bought four. (Well, we actually did buy a fifth one to put in a pot on the patio. It has produced, but nothing like what is in the garden.) We got them planted early this year, about three weeks earlier than last year when we were late. Once planted, Steve nurtured them and staked them. He weeded around them so all the energy and nutrients from the soil would go into the tomatoes. He didn’t pull everything that was cutting into their supply. I saw when all was said and done that we actually had eight plants. He saved and protected four volunteers from last year. He always has a way of getting around my limits! So tonight we are going to enjoy the bounty of that eight-plant supply when we have the first of the season BLTs for dinner. I can taste them already! It’s a summer treat that I hope we can have for weeks yet. There are plenty of tomatoes even though the weather hasn’t been that great for production. I am also hoping that we get enough to make another treat which we discovered last year: tomato jam. We just chop up about five pounds of fruit, cook it down with lime juice, cinnamon, nutmeg, clove and sugar, until it becomes this dark, gooey jam. 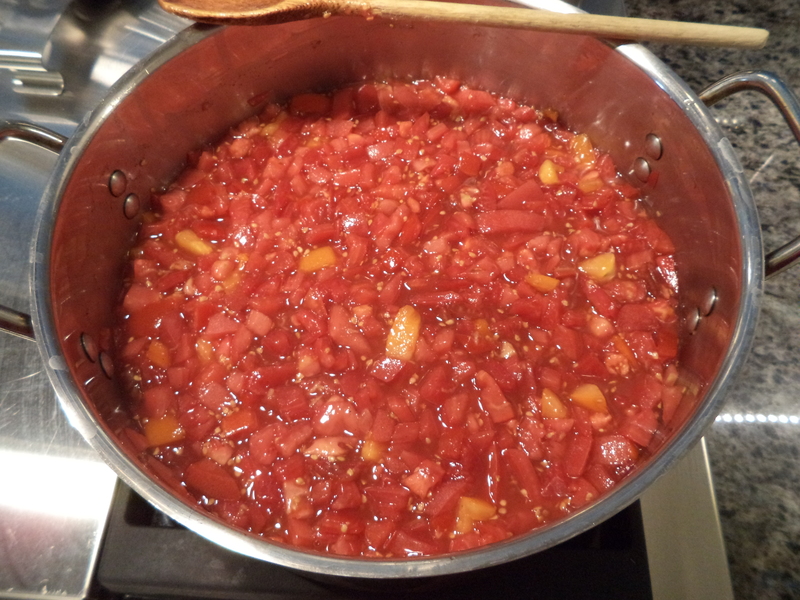 We made six batches last summer as those tomato plants were most generous. I am really looking forward to that whole process again this year. 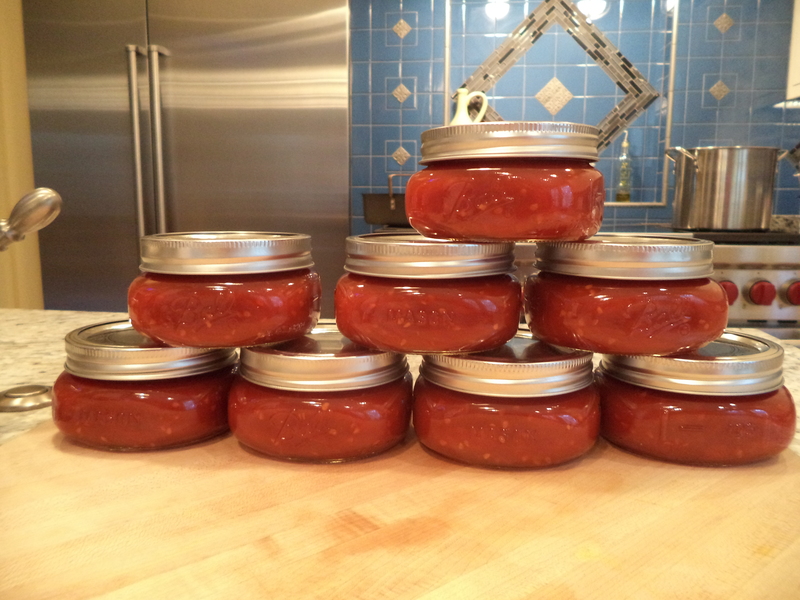 That tomato jam kept us with the flavor of summer in our mouths all winter long. That song proves true every year this time: only two things that money can’t buy and that’s true love and homegrown tomatoes!